The request has been granted, but an agency under the Ministry of Justice that handled the case recently announced that the convicts are no longer capable of paying. Pham Thanh Binh, former chairman of Vinashin, was held accountable for about half of the money, while To Nghiem, former chairman of Cai Lan Shipbuilding Industry Company, and Tran Van Liem, former CEO of Vinashin Ocean Shipping Co. Ltd (Vinashinlines), the rest. They were among nine people jailed for three to 20 years in 2012 for mismanagement in multiple projects, leading to huge losses at Vinashin. The shipbuilding group piled up debts of $4.5 billion before being restructured into the Shipbuilding Industry Corporation in 2013. 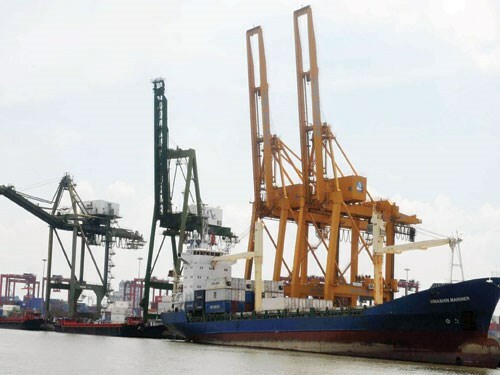 Binh and his two subordinates had no means to pay, so the execution department had to return the pleadings of the companies — Vinashinlines, Cai Lan Shipbuilding Industry Company, and Cai Lan Power Company — in accordance with laws, a representative of the department was quoted as saying in news website Dan Tri early this week. However, the unnamed official stressed that once authorities discovered any properties in the defendants’ names, even those left in their wills, the verdicts will be enforced, meaning that authorities will confiscate the properties. “We will continue to encourage the defendants and their families to cooperate with us [in retrieving the money],” the official said. The claimants were among six companies ruled by the court to claim the total compensations of over VND1.14 trillion ($51.84 million) from the nine defendants. Another two companies which were entitled to a total of some VND59.7 billion ($2.69 million) did not file any claims, while the sixth one is having its case processed. As of June, the department has managed to collect more than VND2.4 billion ($108,200) from the defendants, including over VND1.9 billion ($85,700) in court fees.